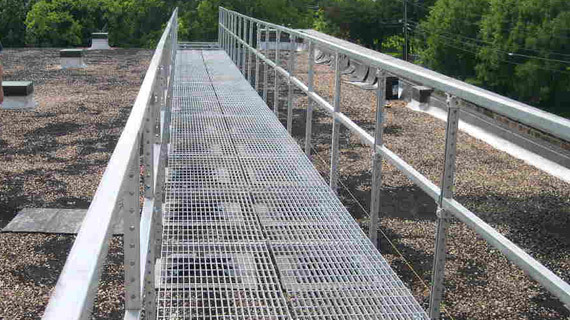 The PHP Rooftop Walkway system is designed to direct foot traffic while preventing damage to the roofing system. Sweep loose gravel away, if gravel exists. Must be compatible with existing roof or new roof system being installed, (check with manufacturer). Need not be adhered to roofing membrane. Splice Assembly – Used to join one 20’ span of planking to another. 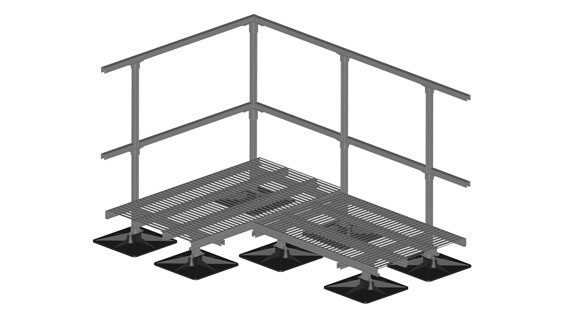 Straight Assembly – Intermediate support between splices. The quantity will depend on the weight to be supported and distributed. Corner Assembly – Can be right or left turn. 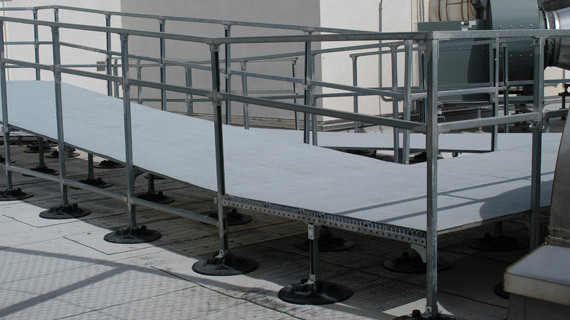 If handrails are required, the hardware for attaching said handrail will have been installed at the factory, and the intermediate rail will have been cut to size. 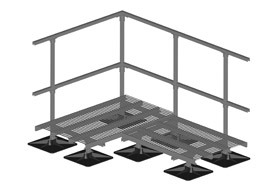 For ease of installation, the top handrail will come in 20’ lengths. Place appropriate isolation pads in place. Place bases on isolation pads and insert legs of substructures. 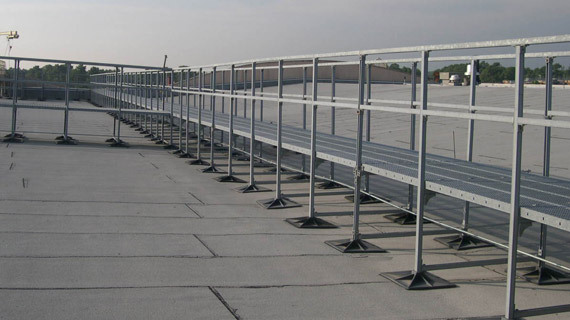 Lay out planking, make whatever minor adjustments are needed, (spacing of substructures to accommodate the intermediate handrail, if required) and install hold-downs. 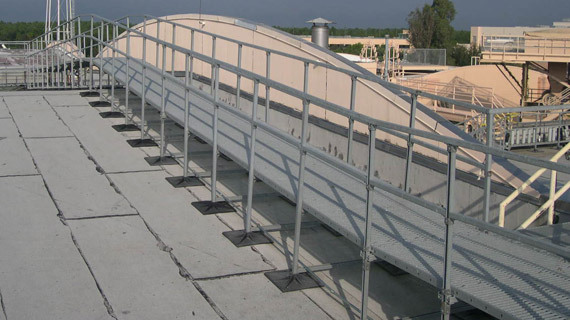 Place the handrails on top of the factory-installed hardware and secure with channel nuts and hex head cap screws.